Hampton Inn Baton Rouge I 10 And College Dr. 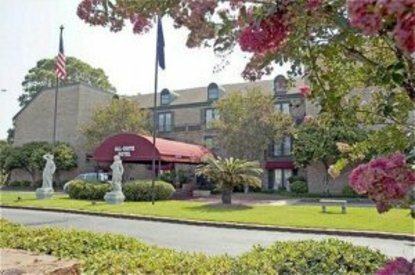 The Best Western Chateau Louisianne Suite Hotel is located mid-city, near shopping and restaurants. We are an all-suites hotel. All guest suites have interior corridors in a three-story atrium setting with a glass elevator facing a New Orleans-style indoor courtyard that features Louisiana artists' work throughout. Quiet and romantic with a French Quarter ambiance, Baton Rouge's only boutique hotel offers Southern charm and personalized concierge-style guest service. Visit our fitness center or relax in our indoor whirlpool, steam room and outdoor swimming pool. This all-suites hotel provides the ultimate choice for business and leisure travelers wishing to experience Louisiana without the hassle of commercial counterparts.